1 How many people follow Islam? 2 Where is Islam practiced? 3 What are the main beliefs of Islam? 4 What texts does Islam hold sacred? 5 What are some main holidays and practices of Islam? 6 What is the history of Islam? 7 Who are some famous people who have practiced Islam? 8 What is a story from Islam? Islam is the second-largest religion in the world and one of the fastest-growing religions, with about 1.7 billion Muslims (followers of Islam) in the world (more than 20% of the world's population). Islam is practiced in Arabia, North Africa, North America, South America many parts of Asia and some parts of south-east Europe. Basically, people around the globe practice Islam. The seal/last of the prophets in Islam is Muhammad (33:40). The Islamic Messiah (Man sent from Allah; Allah meaning God in Arabic) is Isa (). Salah, or ritual prayer, which must be performed five times a day when one reaches puberty. Sawm, or fasting during the month of Ramadan. Muslims must not eat or drink (among other things) from dawn to dusk during this month, and must be more mindful of other sins. What texts does Islam hold sacred? The Qur'an (also spelled as Koran) is the holy book of Islam. 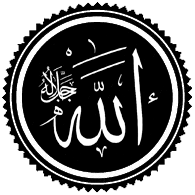 Muslims consider it as "The Word of Allah (God)". What are some main holidays and practices of Islam? Eid Al-Fitr and Eid Al-Adha are the two main holidays in Islam, Eid Al Fitr is after Ramadan, where you take time to eat and meet with relatives/family members/friends. Eid Al Adha, you slaughter meat for the sake of Allah, in which you give half of the meat to poor people, and the other you keep it for yourself. Ramadan, a month of fasting (not eating during daylight hours) occurs in June, July or August each year. Most historians thunk that Islam started in Mecca and Medina. They think that it started at the start of the 7th century. However, some people think it started even earlier, when people they think of as prophets, like Jesus, Moses and Abraham, were alive. Who are some famous people who have practiced Islam? Ibn-e-Battuta, famous Muslim geographer and explorer. Abdus Salam, famous Muslim physicist, he win the Nobel price of physics 1979. Shaq o'Neil, muslim basketball player. Karim Benzema, famous muslim french footballer. What is a story from Islam? This page was last edited on 30 December 2018, at 15:36.